Are you putting together a home remodeling project? Which room are you most excited about? Is it your master bedroom? How about the kids’ bedrooms or the family room? Oh, who are we kidding? We know what room you’re most excited about… It’s the kitchen! 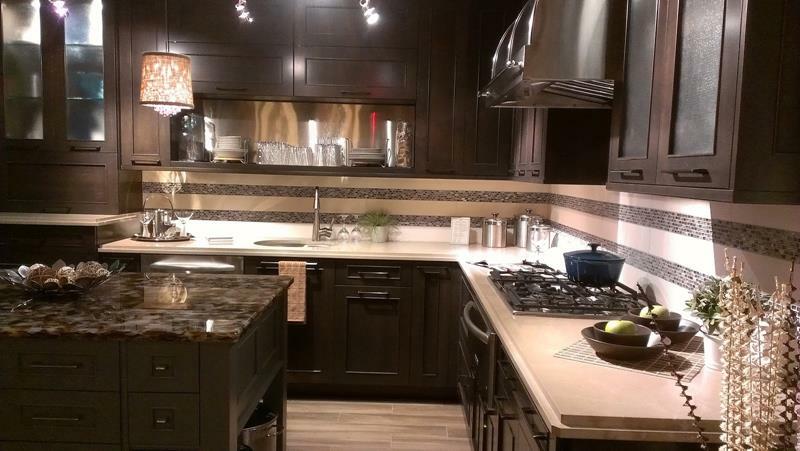 When homeowners imagine their dream homes, without a doubt the first room they imagine is the kitchen. With more and more people becoming amateur culinarians, it’s entirely understandable. Now, while you may be dreaming of the ultimate kitchen, it’s important to understand this: kitchen design is incredibly complex! 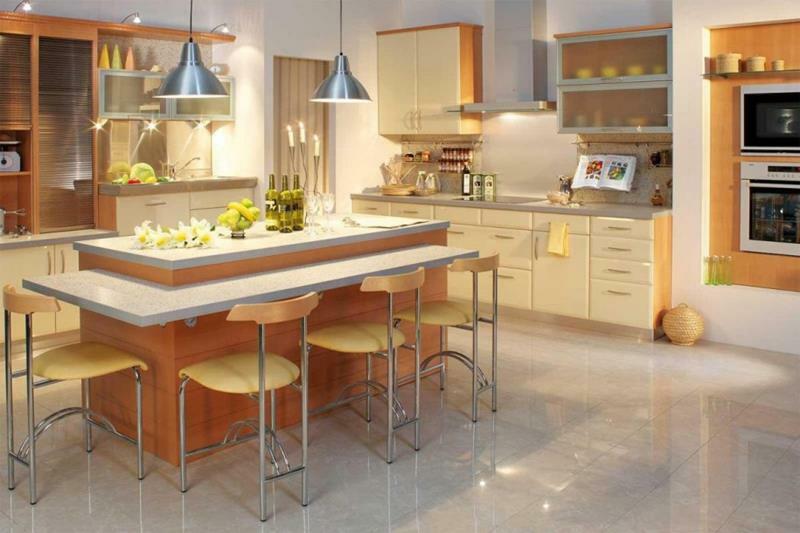 Not only are there a lot of options when it comes to layouts and appliances, you also have to consider what kind of environment you’re trying to create and how the style of your dream kitchen will complement or contrast the style of the rest of your home. Thankfully, we’ve pulled together this list for you – one that highlights 52 dream kitchens. You’ll find that these dream kitchens run the gamut in terms of color, style and size. 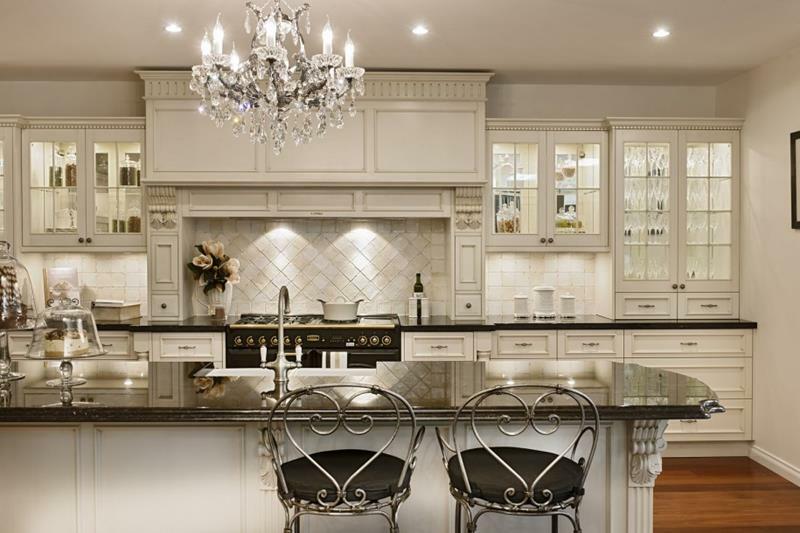 Regardless, you’re sure to find plenty of inspiration for your own dream kitchen – provided, of course, looking at these amazing doesn’t make you go blind with envy! 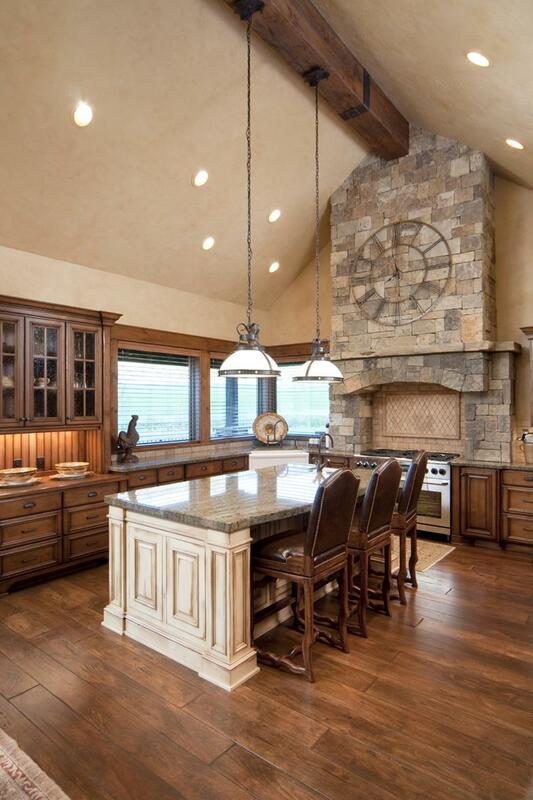 With its vaulted ceilings, this dream kitchen design’s vertical space is filled by a large clock over the range. 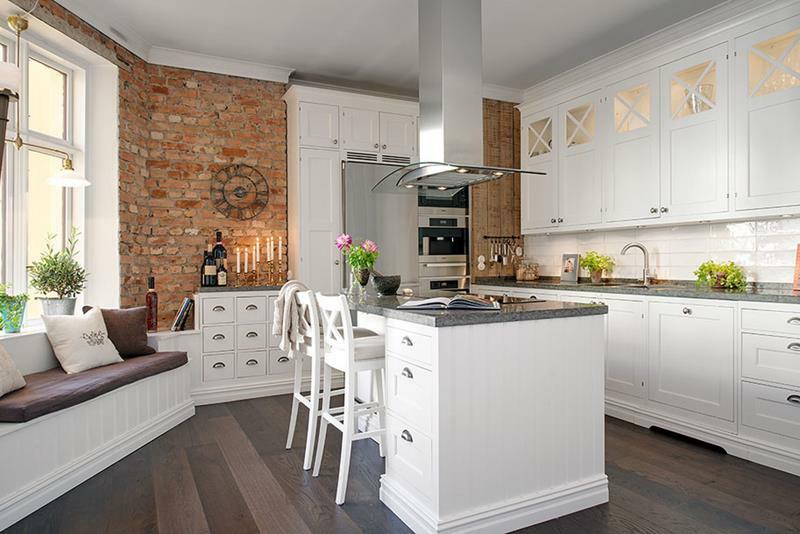 Against the exposed brick wall, the white cabinets in this dream kitchen design really pop. The striped backsplash in this dream kitchen is a perfect design element, adding visual pop to the dark cabinets. The dark hardwood floors along with the black countertops creating a stunning look for this dream kitchen design. With a color scheme that recalls an orange creamsicle, this dream kitchen design is thoroughly charming.